Last week, I went to stair practice and did a vertical kilometer. 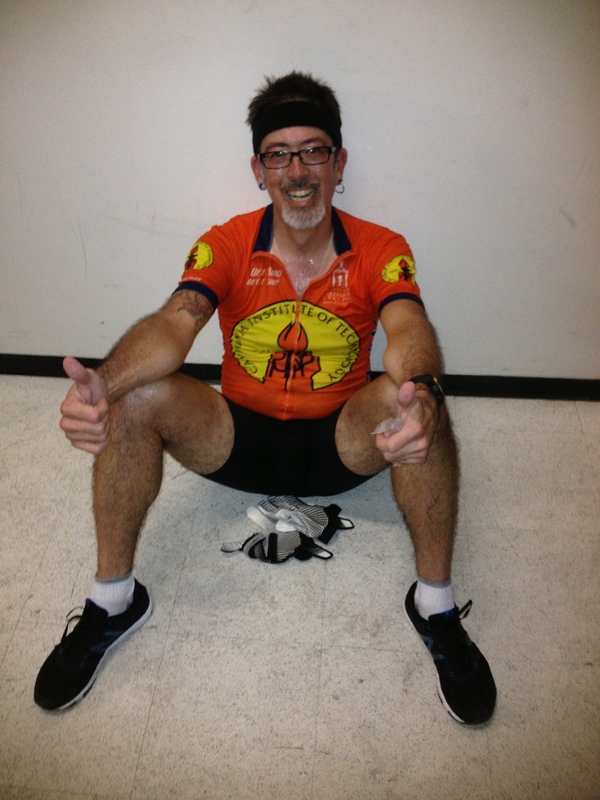 That was the evening that George said he wanted to try and beat my previous time of 59:12 for the five climbs. And with that, I found I had the strength of Ten Grinches, and I managed to push the pace and do the kilometer in 55:43. 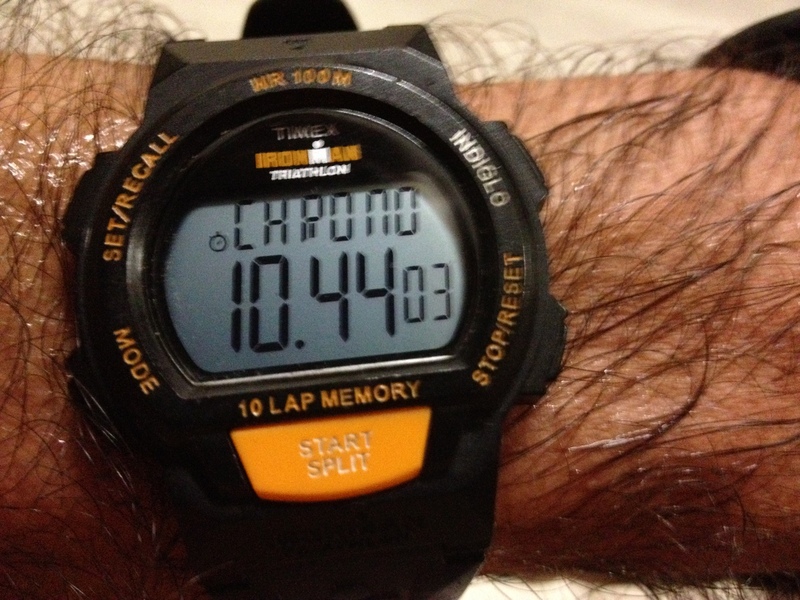 So this evening, George said he was going to attempt to beat my 55:43 for the kilometer. And thus, I had a goal for the evening. 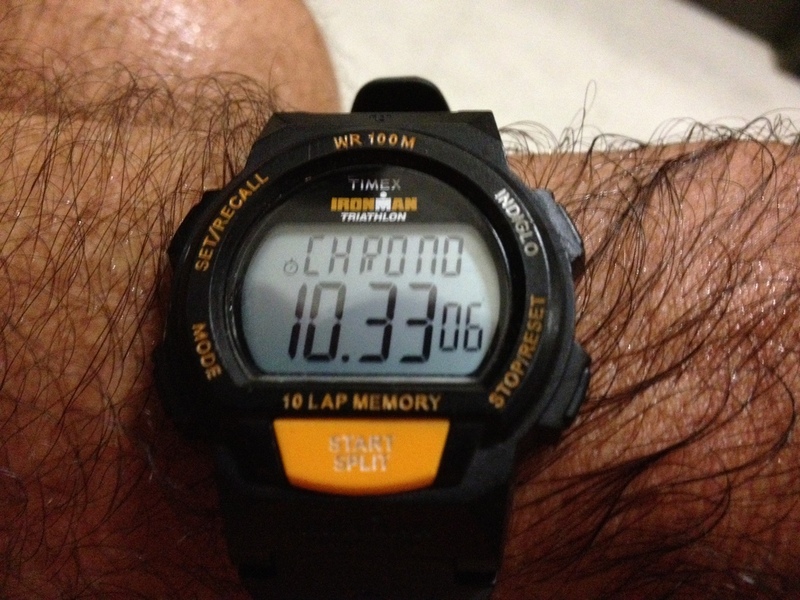 My goal became to also beat the 55:43, and to do it in a convincing manner. I started off planning a pace of 4 3/4 floors per minute from the start. That works out to about 10:45 for this building. Of course, the first couple of climbs went a bit faster, since I was fresh, but overall, I was able to maintain the pace for the first four climbs. This is the first time I’ve done four consecutive climbs under 11 minutes each. In the elevator down the fourth time, I heard George talking. I was sitting down, trying to get the maximum rest. I looked through the forest of legs in the elevator, and I saw George sitting on the floor on the other side. We compared times, and his first four times were comparable to mine from last week. That meant he had a good shot at beating my 55:43 from last Wednesday. My first four were considerably faster than last week’s, so I knew that if I could just keep pace with him on the last climb, I’d have a better time for today. 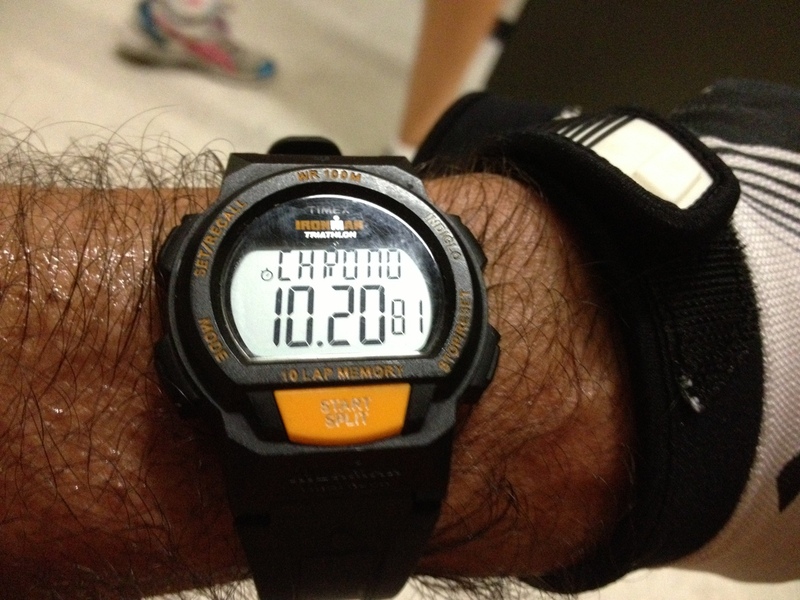 And I knew that if I did any reasonably fast time, I’d get my total under 55, which was my goal. So we decided to go up together and I was going to try and keep pace with him. Just before we started, he asked me if I thought I might get under 54 minutes. I didn’t think so, but I hadn’t taken the time to do the math and see. The fifth time up, I was pretty tired. 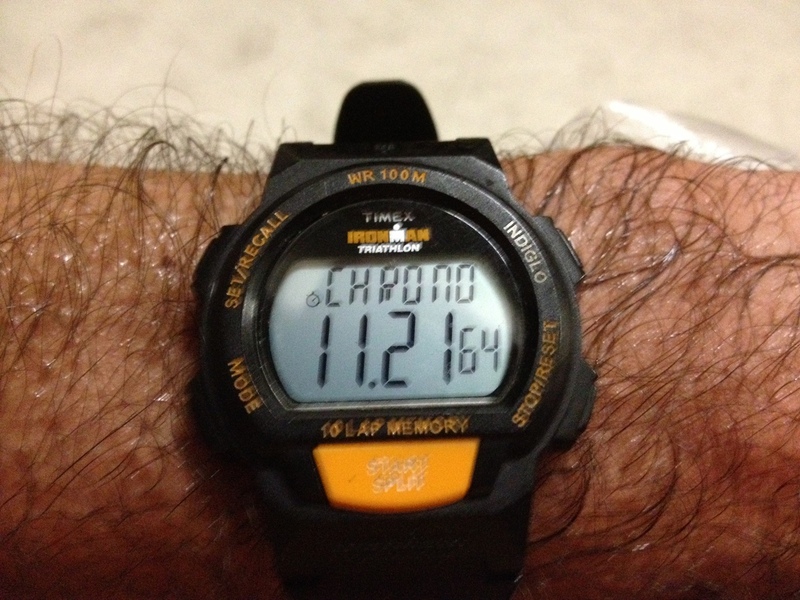 I was aiming for my 4 1/2 floors per minute pace, which gets me to the top in about 11:22. I knew this would be fast enough to still have the total under 55. I managed to keep pace with George up to about the 35th floor, but then he seemed overcome by something, and started pulling away from me. I tried to keep pace, but by the time we got to the 49th floor, he was about 1 1/2 floors ahead of me. I could hear his footsteps and breathing, and he was obviously working hard. Just knowing this was the end, I managed to eke out a little burst of speed at the end, and I stumbled onto the 51st floor landing in 11:22. Right on schedule. On the way home on the train, I added up my times. They came out to a total of 53:57, which was quite a bit faster than I’d expected to be able to do. I really can’t complain about that. 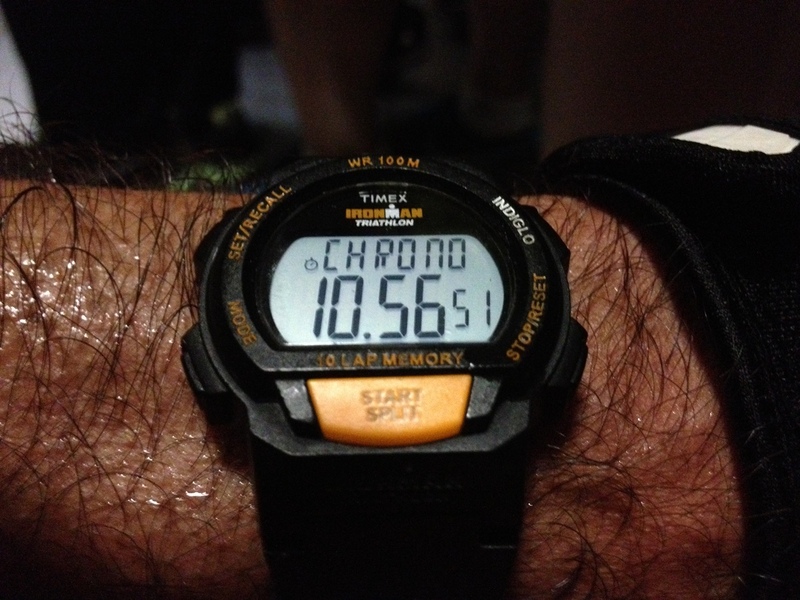 And George did his vertical kilometer in 55:39, so we both achieved our goals for the evening. So all told, it was a good outing. Many thanks again to George for lighting a fire underneath me.